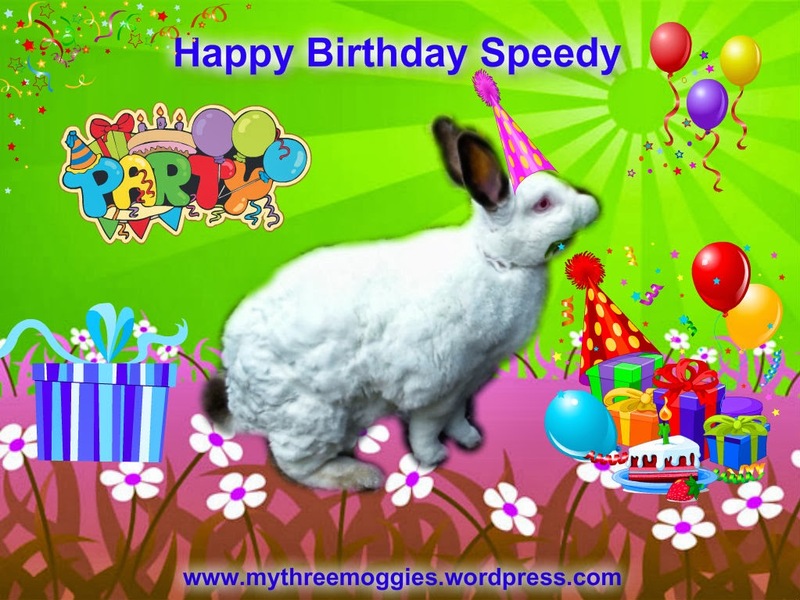 Speedy the cheeky house bunny: Happy 2nd Birthday to Speedy! 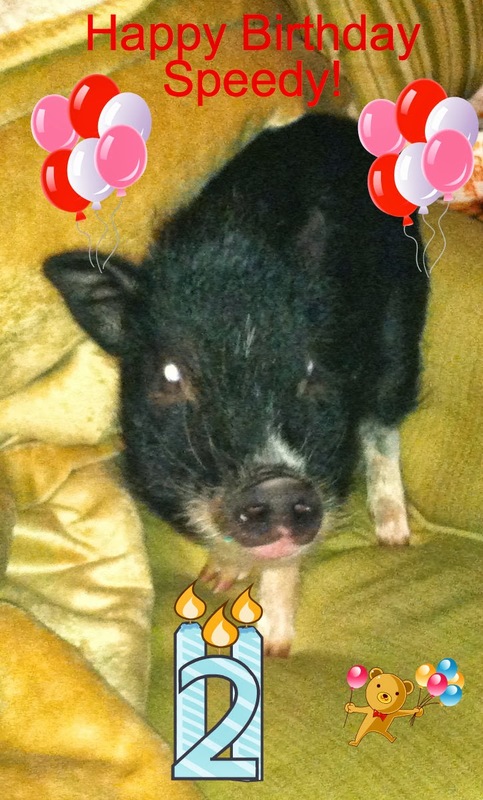 Today we Sing Happy Birthday to Speedy as he Celebrates his 2nd Birthday! Here are some birthday cards from some pals! From Cocco and his Mum Katie! 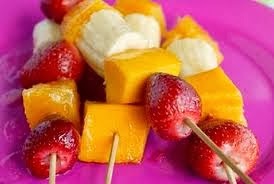 So after some dancing some Nibbles! And Birthday Cup Cakes and the Birthday cakes from Nellie and Easy! 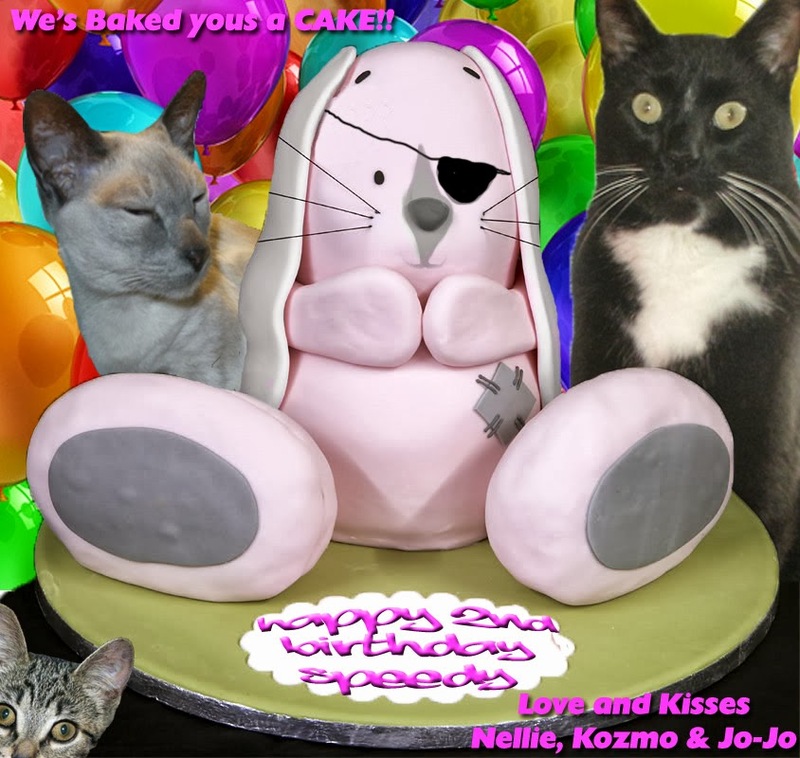 THANK YOU ALL FOR COMING TO SPEEDY'S BIRTHDAY! Happy birthday Speedy. May you have many more. We wish you a fun filled, treat filled day pal. Have a tremendous Thursday. 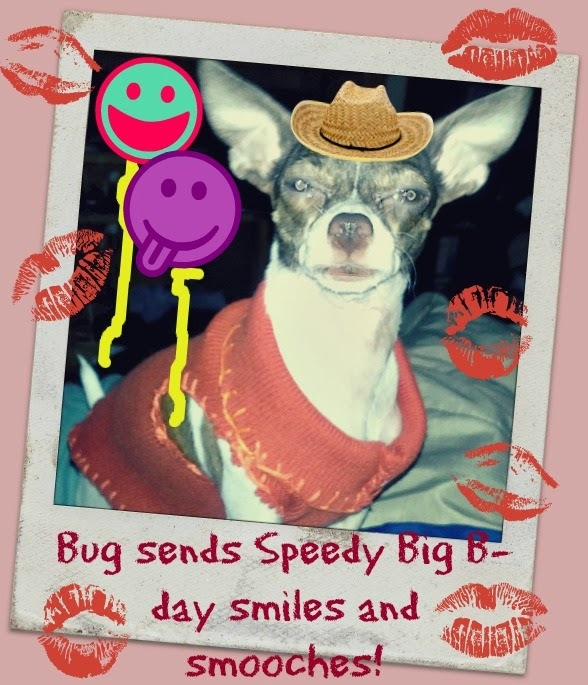 Speedy I hope you have a totally fabulous birthday today - Two is a great age!! 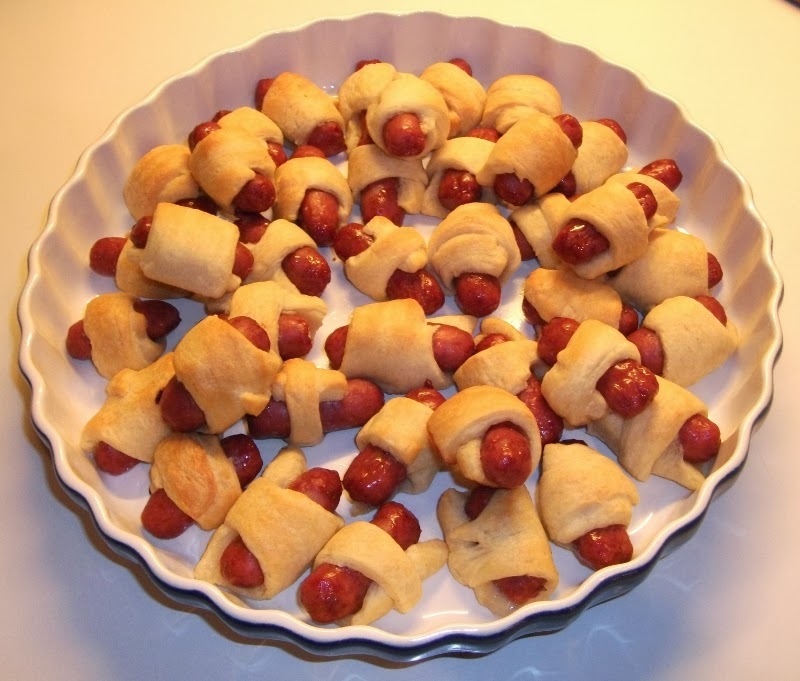 What a wonderful party you're having with yummy snacks...Woo Hoo! Happy Birthday, Speedy! Have a great day!!! ..hmmm.nom.nom the sausages are great! Hope Roger Rabbit and Bugs Bunny will send you a card too!... or maybe they will come to your party? God Grant You Many Years, Speedy! Smooches from me to you! Wow, Speedy! The Happy Feet crew and the Black Eyed Peas! Awesome Birthday! Have a very very Happy Birthday, Speedy Bun. And many, many more. Happy Birthday Sppedy! You are very special!!! 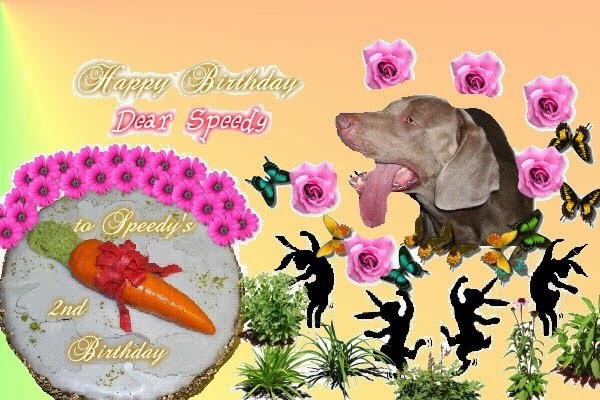 Happy Birthday to you Speedy, sweet little rabbit!!!!!!!!!!!!!!!!!!!!! May you have a gazilion more birthdays, speedy buddy! Happy birthday, Speedy! 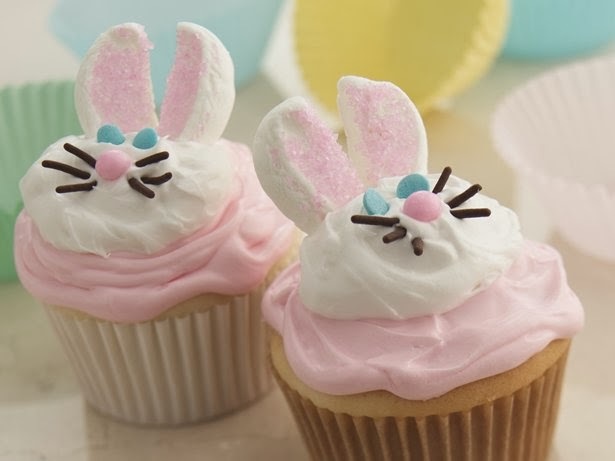 I hope you get ALL your favorite treats today! Happy birthday, Speedy! This is a great party! Here's to any more birthdays! Happy Birthday Speedy. Those are some great cards. 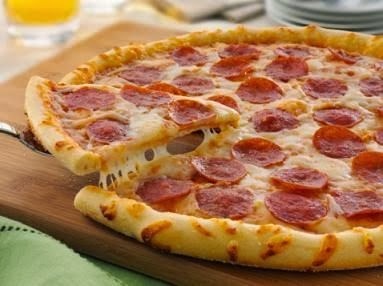 Look at all that yummy food. Hope you get lots of presents. Hugs and purrs. May your day be filled with love & cuddles and treats and... and carrots! Lots & LOTS of the carrots! Happy Happy Birthday Speedy!!! Your party is awesome and all of this delicious food is making me hungry hehe... hope you have a super special day today! Happy birthday, Speedy!! 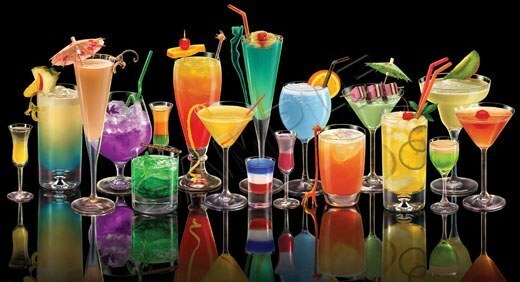 Love the cards and party- the food and drinks look yummy! Happy happy birthday Speedy! You are such a handsome big boy. All the best for you! Always some treats and a cosy place in your secret tunnel! HAPPY HAPPY BIRTHDAY SPEEDY!! Oh my you are having a GREAT and WELL-DESERVED celebration! Here's to MANY, MANY more happy birthdays! 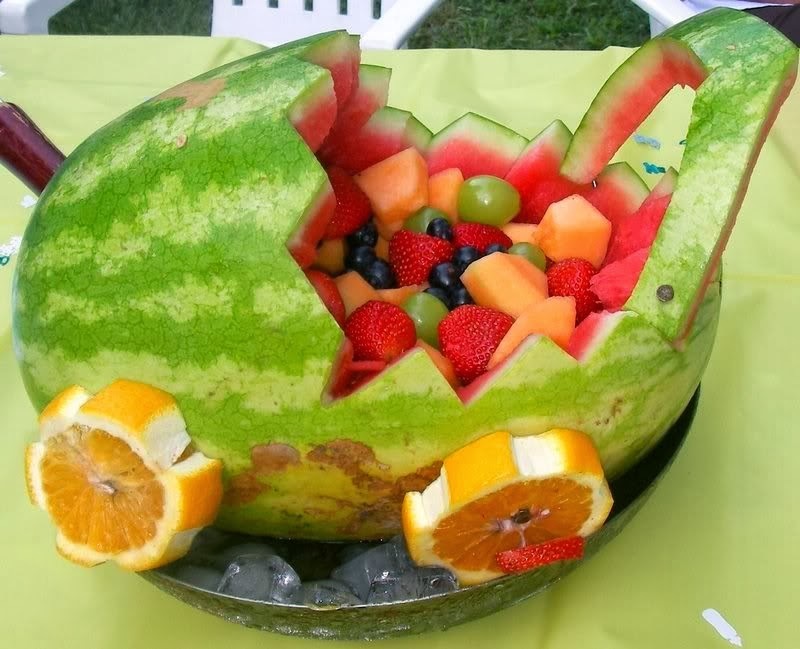 What a pawsome Pawty Speedy! Mes is now going to sing!!! Happy, happy birthday, Speedy!! Yippeeeee!! 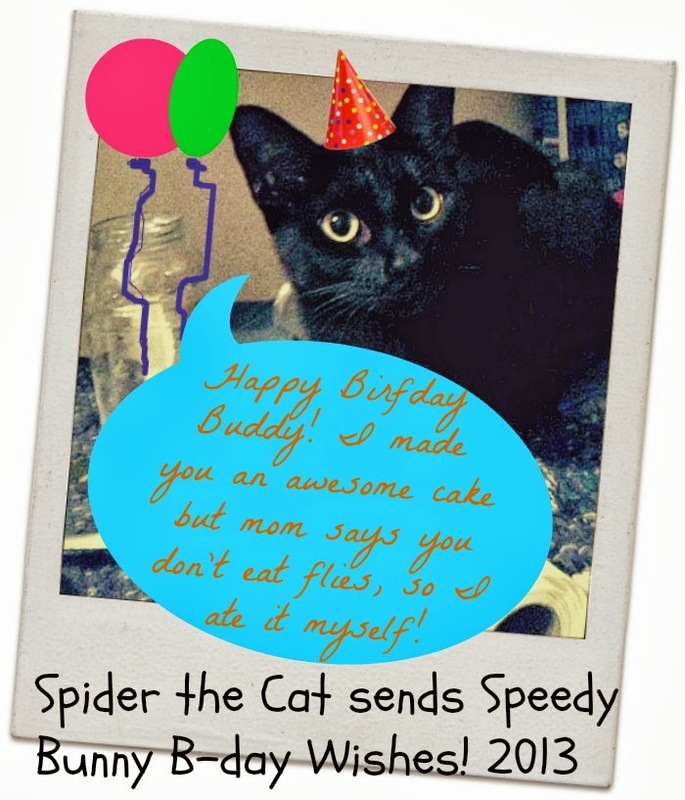 Happy Belated Birthday, Speedy! Hugs and purrs from all of us. 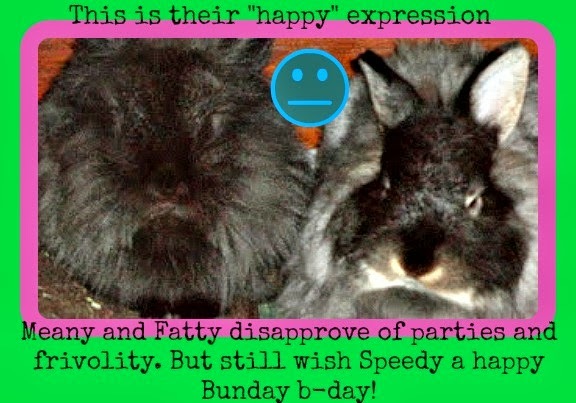 HAPPY 2ND BIRFDAY SPEEDY BUNNEH!!! We iz sowwy we iz so late to da pawty!! Mum bin out almost all day n we just got on PC. Mum n me made ya a card n me Mum mailed it to yer Mum!! Hope it came thru so yer Mum can post it!!! WE LUBZ ya so so much n we iz hopin ya had a pawsum day...do ya want do sum 'zoomie zoomiez' around da livin room wif me?? Wishing you many more birthdays filled with love, health and happiness. Happy Belated Birthday Speedy. Thanks for inviting us to your party. Sure glad there was some foods left. Gosh Speedy we're late, I'm so sorry! Are there leftovers? HAPPY BIRTHDAY! And we wish you many more! Happy 2 years my fellow hay-eating friend! Happy belated birthday Speedy. Hope you had a fab day!